Ours is quite an unusual story, I guess. After looking all over the Mediterranean for a boat that I could use to teach on in a sailing school I finally found the boat of my dreams the other side of the pond in the Caribbean. I bought it from this man, and later fell in love with him. 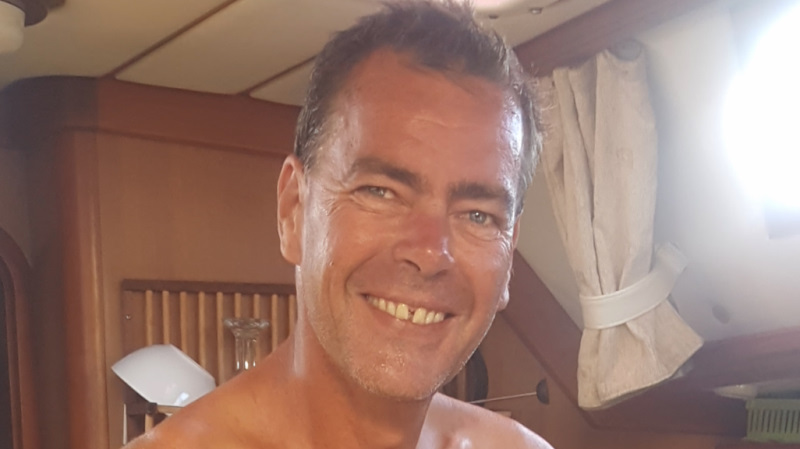 Since starting Yacht Ibis Caribbean Sailing Holidays at the beginning of 2010, Francois has been chief bosun, delivery crew and relief Skipper. With the addition of Hazel and Anthony (down there) to the team, Francois is finally able to dedicate more time to his own lobster fishing business, but still joins us on a trip from time to time. He has been sailing since he was in a buggy, he’s crossed the Atlantic 7 times and has run his own charter company in the Mediterranean before “retiring” to lobster fishing in St Martin. 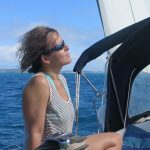 I was a late starter when it came to sailing; although I grew up in Cornwall close to the sea, it wasn’t until I moved back to Scotland in my 20’s that I really took it up. My Dad had bought a partly finished hull in Edinburgh and was fitting it out to go sailing around the world – his lifelong dream. I moved back to Scotland to help him and to sail off with him but sadly he died before it was finished. It took me 7 years, and every spare penny I earned during that time, to finish the boat, a 38 foot sloop, and to start sailing it. 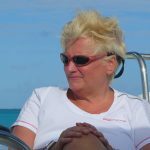 I passed my RYA Yachtmaster in 1998, taught in a sailing school in Gibraltar for a while, and I sailed in Scotland, Norway, the Western Mediterranean, Malacca Straits, Singapore, Thailand and Hong Kong before settling here in the Caribbean. What started out as a promise to my Dad has turned into my lifetime’s passion and I’m blessed to be able to share what I do with people like you. We sail beautiful boats in a stunningly beautiful part of the world with fantastic people… Come and join us for a while. 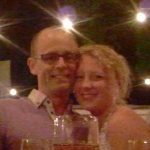 Anthony has been sailing since he was a child, beginning with dinghies and windsurfers, and for the past 12 years has been skippering charter boats from Greece to Malaysia and the Caribbean. Now settled in Guadeloupe, Anthony is also, of course, a commercially qualified captain of boats up to 500 tonnes and skilled with most boat systems. Like many Frenchmen, cooking is a passion, and he can turn out some excellent cuisine from the galley; he speaks English French and a little Spanish. Anthony is excited with this season’s itinerary which takes in some new sailing areas for him, and is particularly looking forward to catching fish and snorkelling the reefs with our guests. He also loves to teach and beginner sailors will benefit from his patient teaching style! Hazel joined us after coming along on our Christmas & New Year trip in 2013-14. We were lucky enough to be in the Bahamas and it was a truly magical time with a great bunch of people who are still in touch and meet up to this day. She’s since been back again four times and is booked for her 6th trip! 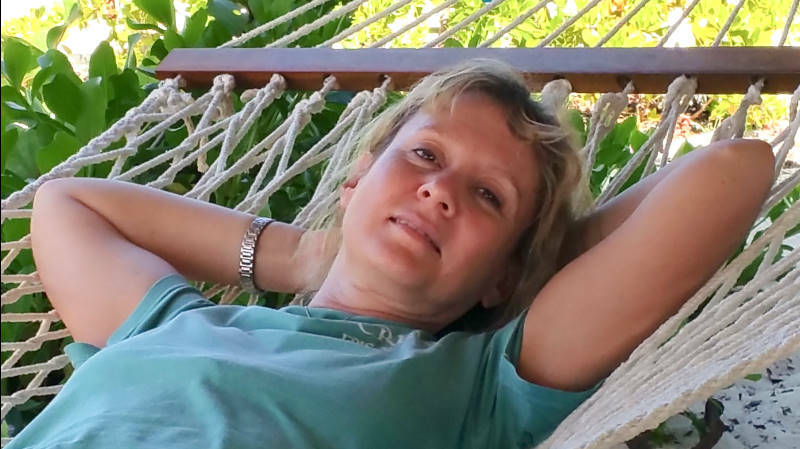 Although she holds down a full time day job, she helps to keep my emails answered when I can’t get an internet connection and having spent some of her youth working on the cruise ships here in the Caribbean, is knowledgeable about the area and our sailing holidays. 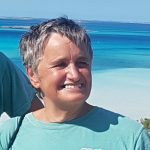 Hazel is also a qualified Day Skipper and has sailed in the UK, Greece and Turkey.